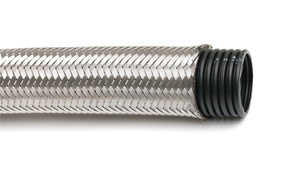 TA - This flexible thermoplastic hose is braided with a stainless steel conductor, as a pressure and stability bearer. The polymer base of the hose polyethylene is (PE). 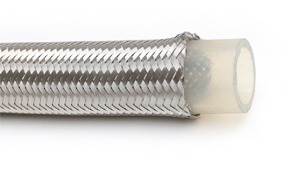 TS - This flexible silicone hose is braided, as a pressure and stability bearer, with a stainless steel conductor. The polymer base of the hose is silicone. 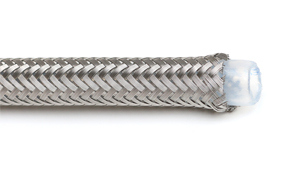 TR - This flexible thermoplastic hose is braided with a stainless steel conductor, as a pressure and stability bearer. The polymer base of the hose is a high density polyethylene (HDPE).